I grew up in the Swedish countryside. After learning various crafts I graduated from Plymouth College of Art and Design in 1999 with a B.A. (Hons.) in Applied Arts, large scale metalwork. 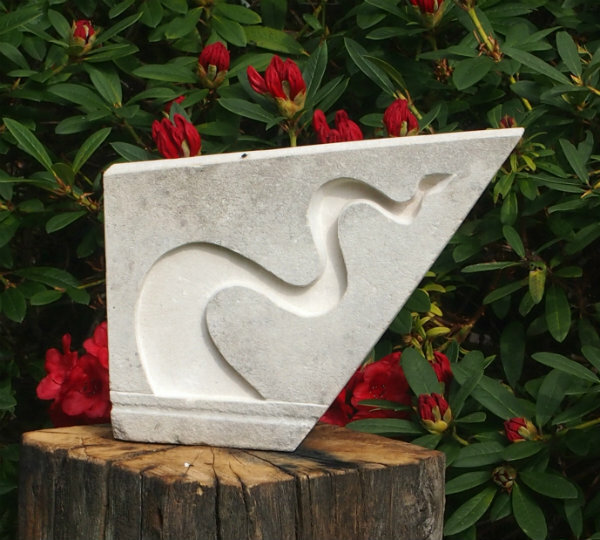 Five years ago I started going to Maria Moorhouse's classes in stone carving and realised that stone was the medium I love working in. It uses very simple tools. I love it so much I now only work part-time. The act of carving in stone is a meditation, the slow pace, attention to detail and the sound of the mallet on the stone is an antidote to stress.